New from Lightyear Entertainment (www.lightyear.com), the Los Angeles and New York-based entertainment distributor of acclaimed films and music – LITTLE GLORY, an emotionally gripping coming-of-age drama – starring Cameron Bright (The Twilight Saga), Hannah Murray (“Game of Thrones”) and rising star Isabella Blake-Thomas – arrives on DVD Tuesday, September 15th in the U.S. and Canada. The film is currently available on cable video on demand in the U.S.
Two young orphans, living in economic hardship, try to survive against the odds in LITTLE GLORY, a heartwarming film about lives torn apart by fate, but held together by the strongest bond of all. When his alcoholic father suddenly dies, nineteen-year-old drop-out Shawn (Bright), decides to step up and raise his little sister, Julie (Blake-Thomas), on his own. Hoping to cash in on his dad’s life insurance policy, Shawn battles his aunt Monica (Astrid Whettnal) for custody of Julie. Unfortunately, providing for a nine-year-old proves harder than he could have imaged. Taking on everyone and everything to keep the two of them together, Shawn discovers just how important it is to be a big brother when your little sister is all you’ve got. 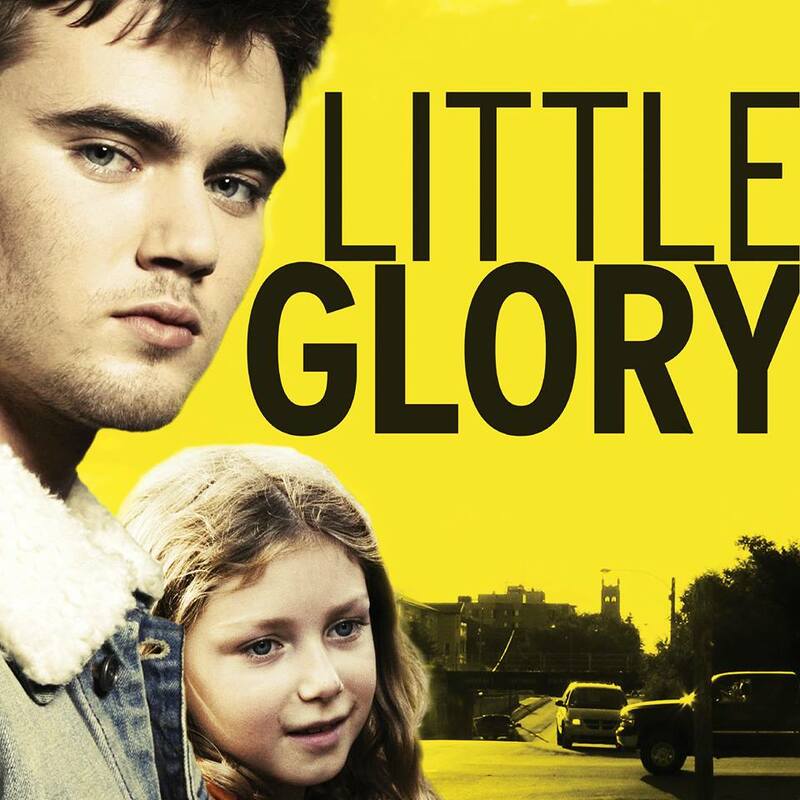 Directed by Vincent Lannoo (Vampires, In the Name of the Son), LITTLE GLORY had its U.S. theatrical premiere in June 2015 and was an Official Selection at the International Rome Film Festival, competing in the Alice Nella Città (Alice in the City) section that is dedicated to films for children and adolescents. I had no expectations for this movie. I wanted to review because I saw that someone from Twilight was starring in it so I was pleasantly surprised when the movie had my total attention. Hands down this movie was worth my time. Stellar performances by three young actors. Cameron Bright (The Twilight Saga), Hannah Murray (“Game of Thrones”) and little Miss Heartbreaker Isabella Blake-Thomas. Siblings 19 year old Shawn and 9 year old Julie have been living with their dad since their mom's death. Shawn is a drop out and dad is an alcoholic. Life seems pretty dreary and not getting better. When dad dies on the job, Shawn is forced to grow up fast as he prepares to fight his aunt for custody of his sister. The movie is dark to emphasize the dreary life these kids live. We watch Shawn struggle to fit the shoes of a responsible adult capable of caring for his sister and fight with out own feelings of what is best for her. Julie has guilt about her parents being dead and sleeps with a toy gun to protect herself from the bad dreams she has. She needs love and attention and I spend the whole movie wanting to hold her. Cameron Bright, a cross between Zac Efron and Robert Pattinson and Isabella Blake-Thomas (a Dakota Fanning and Abagail Breslin cross.) have my emotions running the gamut. I am happy for them. I am heartbroken. I want to punish them I want to hug them. Probably the same emotions Shawn is feeling as he does his best to grow up and be the man his sister needs him to be. Their strong performances carried this movie and I hope many people see it! The only part I was confused about was girlfriend, Jessica. I am not sure why she is even introduced other than to give Shawn a girlfriend that he could make out with and roll around on a bed. Or that young girls watching the movie could fantasize about having him as a boyfriend. She may be a great actress but I spent most of my time wondering why she was there. Definitely a well done movie. I loved every moment including the soundtrack. Disclaimer: I received a complimentary movie for my honest opinion. No monetary compensation was offered.